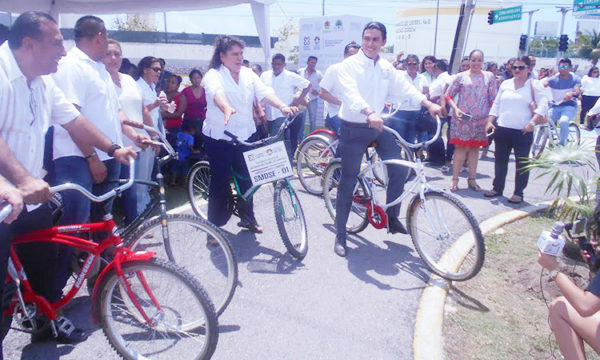 CANCUN – Cancun Mayor Remberto Estrada Barba inaugurated the cycle path and complementary works on Huayacán Avenue, in which the government has invested $4.9 million pesos, and it will benefit 165 thousand inhabitants of the area. 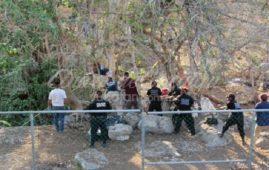 The Secretary of Works and Public Services, Roger Espinoza, reported that the work covered two thousand 274 square meters of paving, 600 square meters of concrete in rest islands, with 18 pieces of exercise equipment, Seven kilometers long, where seven returns were enabled, so that the central highway no longer allows parking, in addition to the use of traffic lights that make the road more agile with the junction of Kabah and Cancun avenues. Remberto Estrada pointed out that this work results from the joint work to achieve success, from citizenship consultation forums in which more than 40 thousand opinions participated, which most requested was to improve roads and mobility, so with these works improving urban infrastructure and shortening travel and mobility times.